With so much to look forward to, Glamour.com asked Heughan to give us the (spoiler-free) tea while we were on set earlier this year. 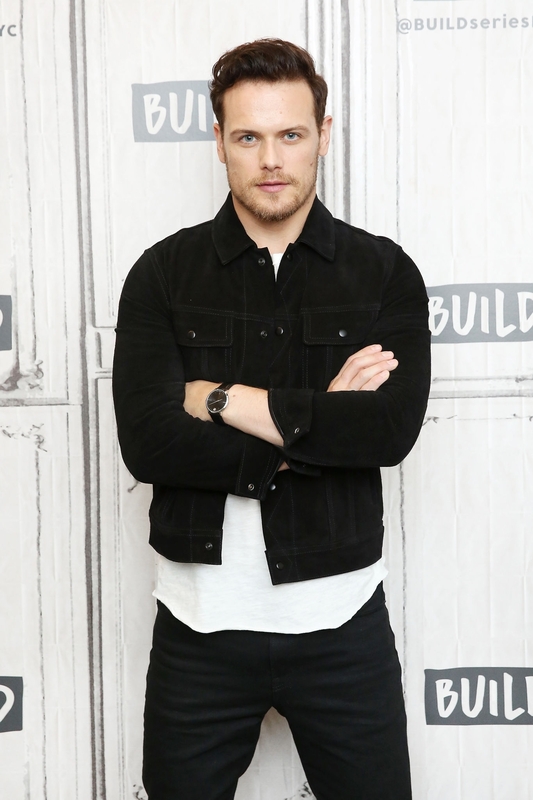 Turns out, he had a lot to say about Jamie’s sensitive side, the challenges Claire and Jamie will face this season, and the subtle ways he’s changed his character from Outlander author Diana Gabaldon’s source material. Read on for more. This season centers a lot around Claire and Jamie finally building a home for themselves in North Carolina. But their daughter, Brianna, isn’t there. How is that loss for him? Sam Heughan: I really wanted this season to be a love letter to Brianna [from Jamie]. The only way he can get close to her is by almost forging this country into a good place, a safe place, so that when she grows up, it’s a good place to be. That’s what he’s doing. He’s planting the seeds of America. He’s one of the first forefathers of America, and he’s doing it for her. That’s nice that he has that connection. When he first sees the pictures of her in season three, I know that some of the fans were disappointed [with his reaction]. They said that in the book Jamie sees this photo of her and breaks down immediately—but for me, playing it, that didn’t feel right. A photo is such an alien thing to Jamie. SH: He’s surprised, and then seeing a picture of someone you don’t know…someone could say that’s your daughter, but you don’t know the image. He has an emotional connection to his daughter, but he doesn’t know her. For him, it’s more wonder and awe—and then maybe after comes disappointment and sadness. At the time it felt like he wasn’t in that place. SH: It’s interesting because there are key moments to every season [that fans look forward to]. Certainly, the print shop scene was one or the wedding in season one—big moments. It’s funny because sometimes the fans of the books seem to fixate on certain things [that I don’t anticipate]. I’m like, “God, I am so excited to see something!” But then the fans don’t respond as much as I thought they would. Everyone finds something in the books they love and are looking forward to, and that’s what’s great about them. Whether you are a fan of the books because of the historical side or the time travel, or you’re into the characters, there really is something for everyone. And people have different things they respond to. Looking forward to the new season & the end of Droughtlander. Can’t wait for Jamie and Brianna to meet! A very suave Sam! Looking handsome as ever. I agree with Sam in his views about Jamie’s reaction to the photographs of Brianna. When you really think about it, photographs were non existent 200 years ago, they wouldn’t have been believed in, and would have been looked upon with suspicion. So the actual photo of Brianna, whom of course he hadn’t met yet, was something of a curiosity in itself. So I agree with Sam – Jamie had a very practical way of looking at things/events in general for someone who lived in the 1760’s era.